Simon, 53, vented his fury and branded Gore a "weirdo" in a series of comments on Twitter. In an interview with MusicWeek, guitarist Martin reportedly said: "I'm not advocating violence but I think somebody should shoot Simon Cowell." He added: "His influence on the industry over the last God knows how many years... It's just like, so many people think that's what music is. "What happened to bands getting together?" Simon tweeted: "I read Martin Gore wants to shoot me. He was in Depeche Mode. Do you realise how weird and stupid that makes you? Go and watch the news. "Why I am angry about weirdo Gore is a ton of people have got shot this year and people like weirdo Gore encourage this." 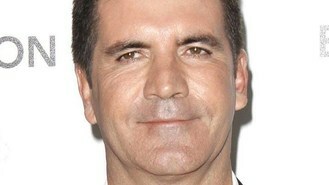 Simon has previously spoken of getting death threats and having to beef up security at his Los Angeles mansion. "People want to kill me," he said. "It's serious and we have a lot of security now for that reason. "My bosses told me they have been shown emails threatening my life. They said one man wanted to stab me. "It sent a chill down me. But I'm used to it," he said at the time.